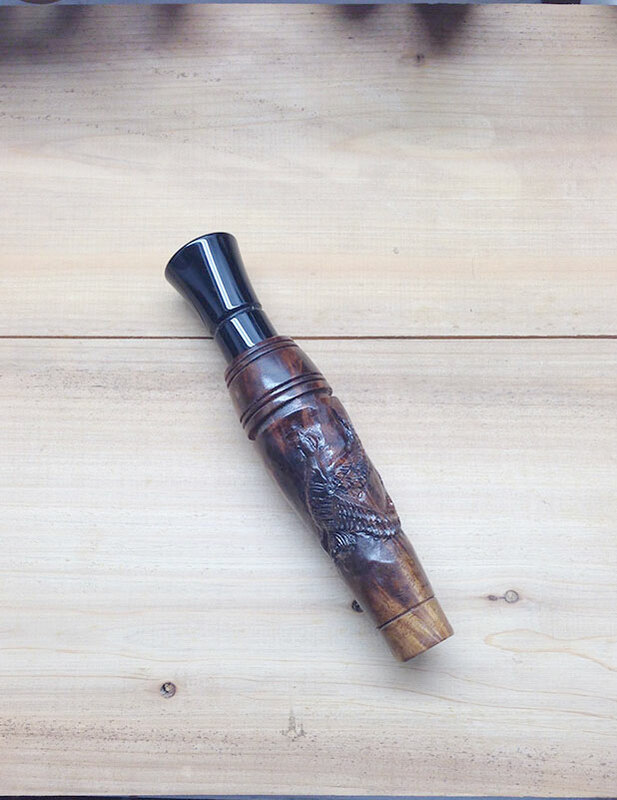 910-231-6865 - Call the 'Stache to order your call today! 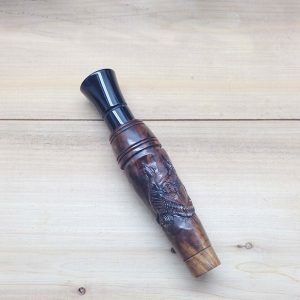 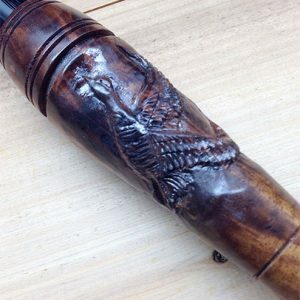 This goose call is made of walnut and features a hand-carved goose in flight. 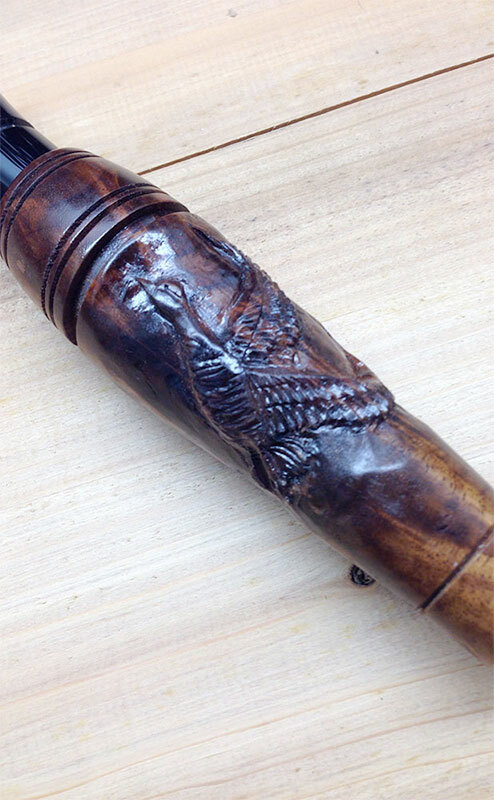 Call The ‘Stache today at 910-231-6865 or send an email to place an order or get more information about this call.